Here we are to another article from the color series. 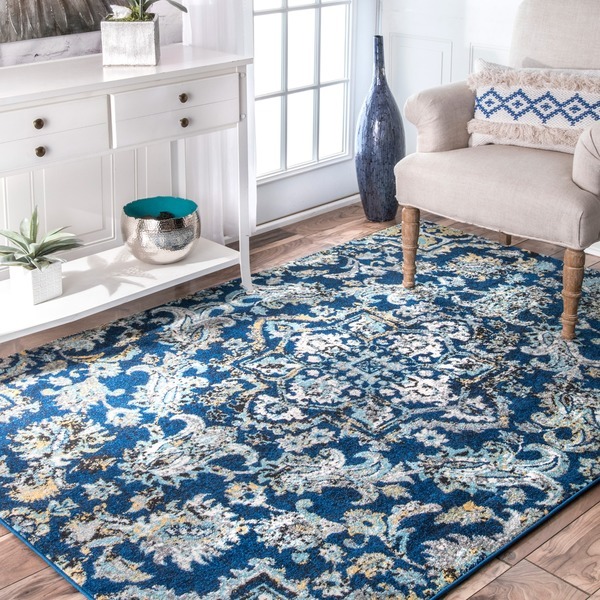 This time we are going to dig among several blue area rugs to find that perfect one for your home. And I really mean it. Because, as much as I love writing these articles, I am also writing these for all of you. And I hope you enjoy reading and discovering them as much as I do writing them. But let’s get back on track. Before I begin to explain a little about my choices in today’s article I would like to clarify something. Because I’ve written in the title article that today’s products are going to be all blue. And that’s not quite right. 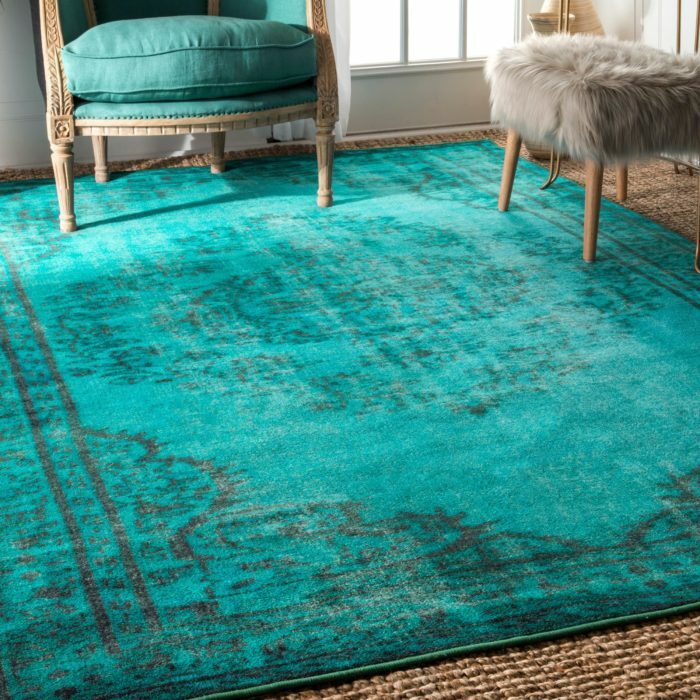 While most of the area rugs will have the color blue, some of you could argue that a few pieces go beyond that. So we could say that they tend more towards different shades of blue. From dark to baby blue and I’ve even included turquoise. I hope you forgive me this little misrepresentation and understand my reasoning. 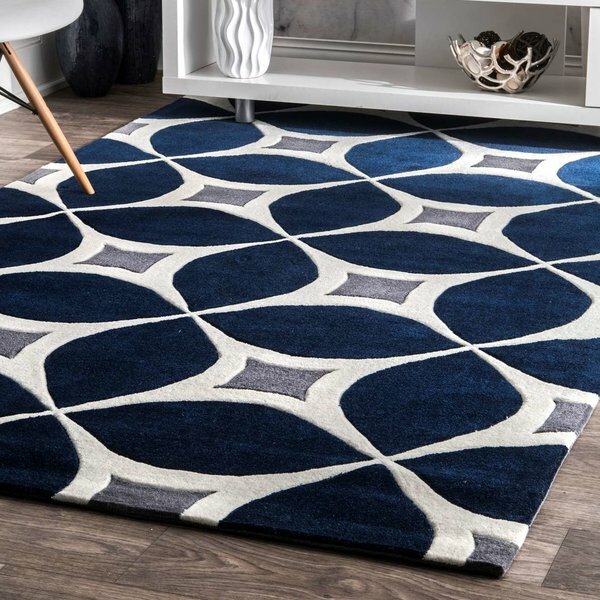 And now, we can talk about the actual rugs for a change. 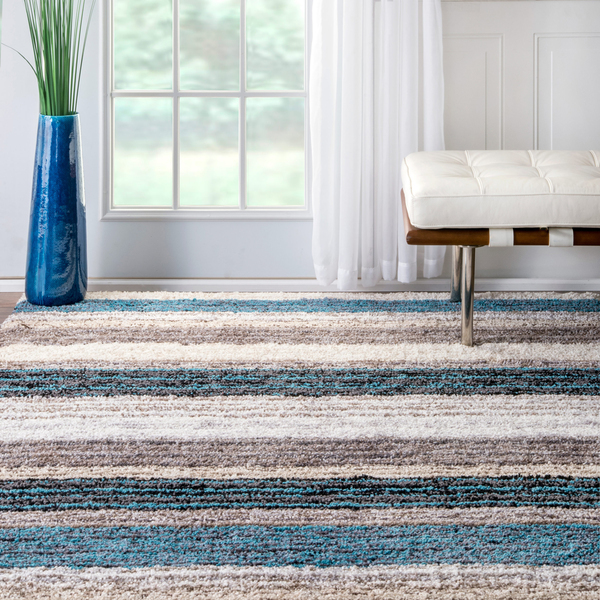 You will notice that I have picked several styles of rugs, including modern and classics options. 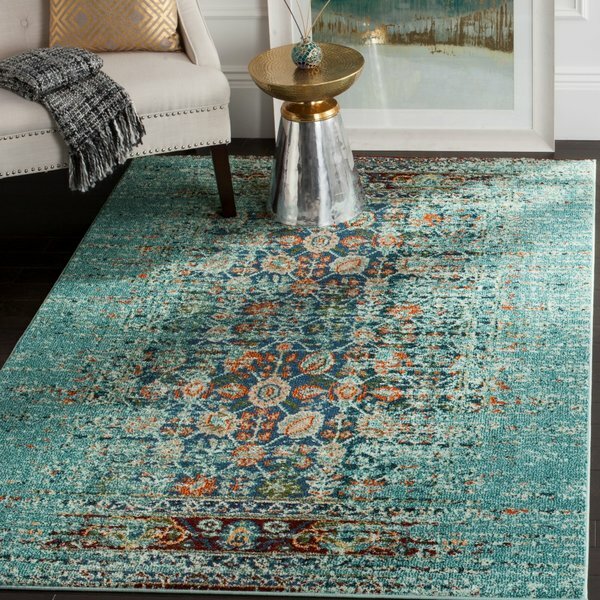 I wanted to offer you not just a simple pick of plain blue rugs. I wanted to offer you something a bit more special. 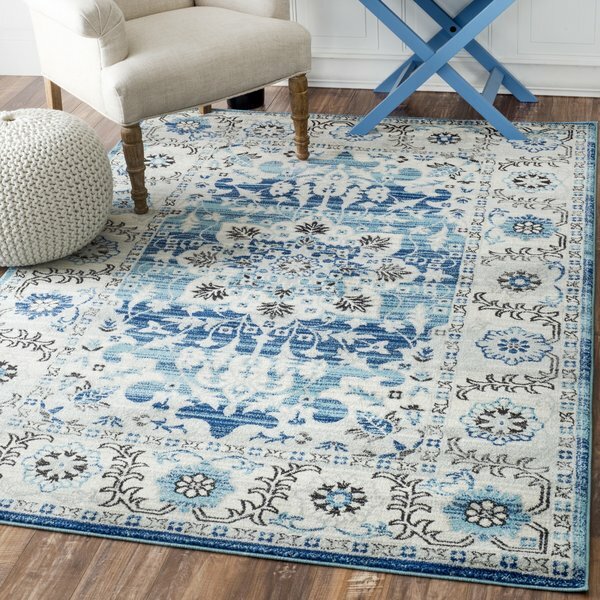 And show you what the beautiful blue color had to offer in terms of area rugs. This is why I picked only several options of rugs. Which I, personally, thought would fit in any modern day home. 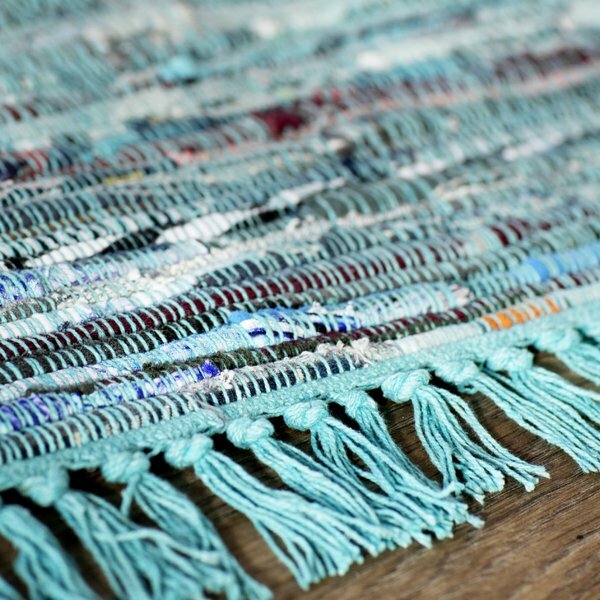 And this regardless of the style of your home. That was well thought of. So I hope you enjoy today’s product choices. And I hope that I’ve helped you in making your home a little bit brighter.